96 Points Gary Walsh, Winefront. Sourced from predominantly the Short Flat Vineyard, with a small percentage from neighbouring DeBeyers. These two iconic vineyards both sit alongside the same creek bed that runs through our property and both feature ideal sandy, Vineyard well drained soils. Vines planted on their own roots and dry grown. The oldest material being planted in 1923. The grapes were hand picked then, after a relatively cool fermentation, the wine spent minimal time on yeast lees before being bottled early to maintain its freshness. No oak fermentation or maturation. Winemaker’s Notes A fine Semillon vintage in the Hunter Valley. Lifted lime citrus aromas, the palate is seamless showing the typical powerful fruit core, which is balanced by the wine’s texture and soft acid profile. The length and power of fruit on the palate is what sets this year’s Vat 1 apart from the other recent vintages. A classic in the making, akin to to the legendary 2005 and 2009 vintages. “Clean, lemon, lime, light honeyed tones – subdued – and then? A powerhouse palate presenting juicy, almost sweet, citrus fruit that fills the mouth – remarkable presence for such a light wine. Subtle powdery texture and pure acidity. Length to burn. 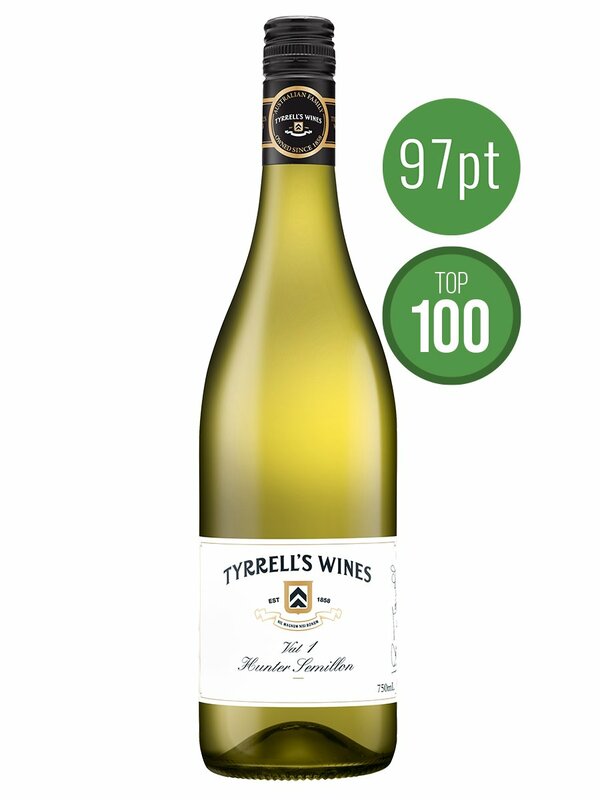 A classic Vat 1.” – 96 Points Gary Walsh, Winefront.